HONG KONG, January 8, 2019 – Shake to Win, a tech startup, announces the launch of its global platform to promote the preservation of cultural heritage and exchange between Chinese and global art and cultural communities. Through its strategic alliance with Van Gogh Heritage Foundation based in Holland, the platform aims to offer budding artists in Greater China the chance to gain much-coveted exposure on the world’s stage. Shake to Win and the Van Gogh Heritage Foundation will work in tandem to connect selected artists with existing artist-in-residence programmes from individual Van Gogh institutions on the Van Gogh heritage route in Europe. 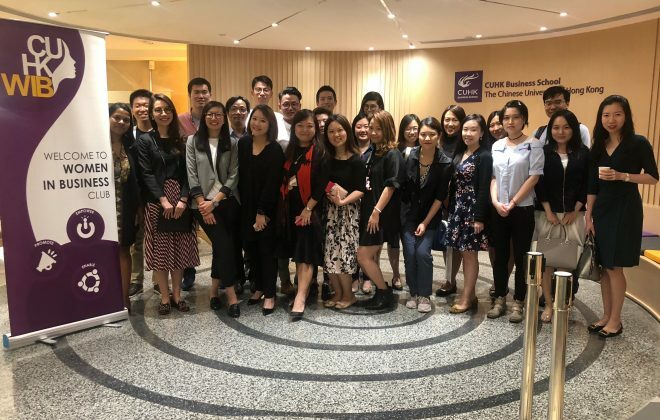 Founded by post-80s Hong Kong entrepreneur Emily Cheung in 2017, the Shake to Win platform already completed its initial round of fundraising from angel investors in support of its quest to forge strategic alliances globally. Once captive to package tour groups, China’s affluent now embrace enthusiastically independent travel to unfamiliar destinations and seek to deepen their overseas cultural experience. “Today there is a lot of misunderstanding towards Chinese travellers as rude and hedonistic shopaholics with little interest in understanding the countries they are visiting. To encourage young people to learn a different culture, our platform is facilitating Chinese travellers’ access to an understanding of the profound depth and wealth of culture around the world but also by promoting a deeper understanding in destination countries of who Chinese young people really are. 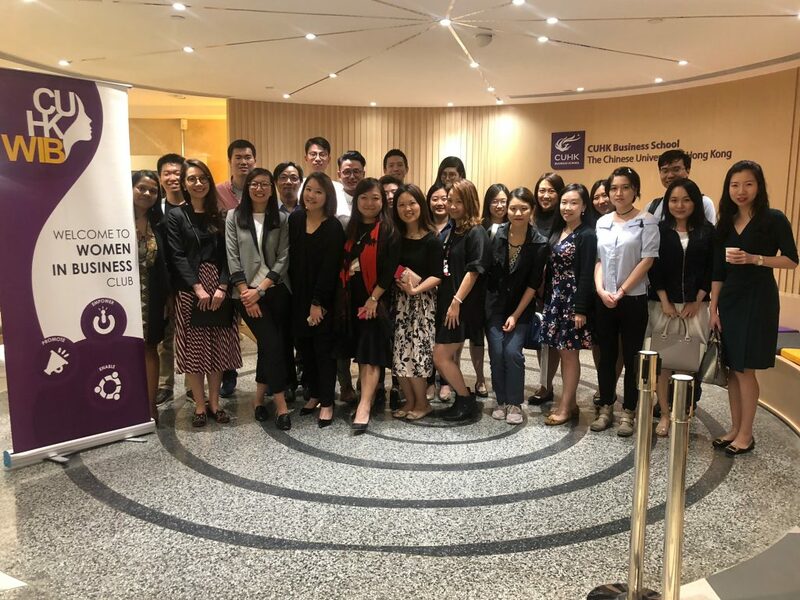 China is one of the world’s oldest civilizations and possesses a generation of highly motivated, curious and caring young people who will readily embark on this journey of discovery if only provided with the right tools,” said Ms Cheung, Founder and CEO, Shake to Win. At launch, users can access the Shake to Win app through WeChat or download a stand-alone beta version APP. 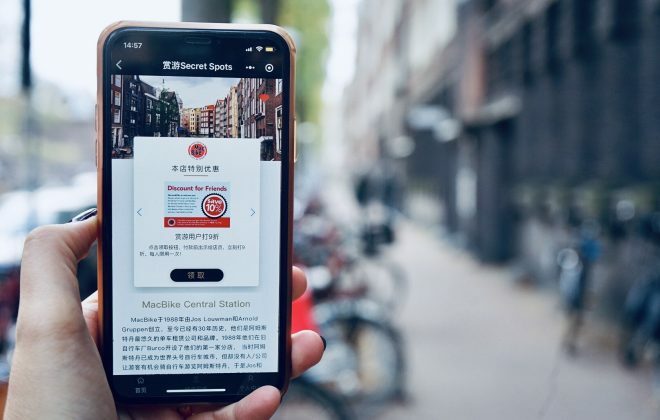 While travelling, users simply open the app to readily access a comprehensive list of carefully selected places, attractions and activities in the city they are in, powered by real-time geolocation. Users can also browse by country to explore the app’s listings. Currently, there are over 1,000 listings that range from museums, art galleries, natural sites and heritage sites to local family-run businesses, cultural immersion tours, and off-the-beaten-path places and activities. 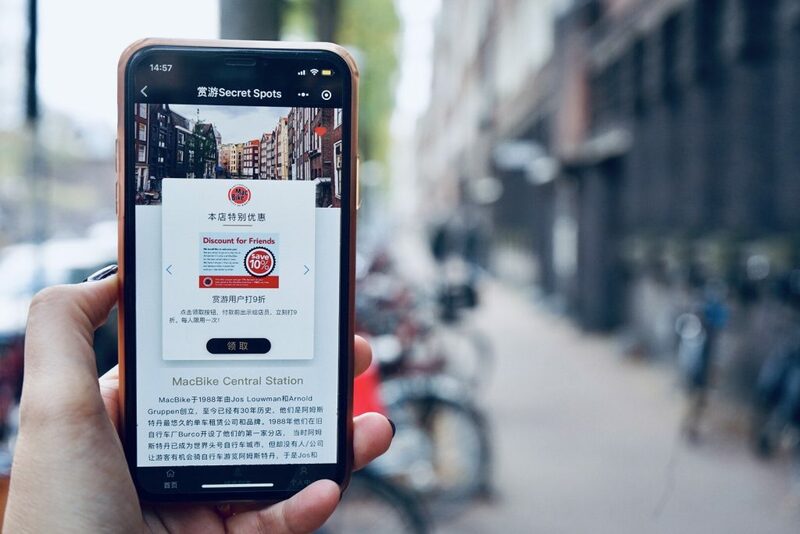 Each spot gets a free curated Chinese description of its unique character by Shake to Win team highlighting its authenticity and link to the local culture. They can also upgrade to access more insights on visitors accessing the app with an affordable subscription to Shake To Win platform. Participating outlets can also offer users incentives such as discounts, free gifts, to value-added services via the app. Offline, travellers identify the participating spots through window stickers, letting them know they are welcome. Shake to Win is present in six European countries (UK, France, Holland, Belgium, Spain and Italy) – a welcomed tool as 46% of Chinese travellers cite Europe as the top destination ahead of North America and Oceania. “Our mission is to preserve culture and nature and create a cross-cultural exchange by leveraging modern technology. 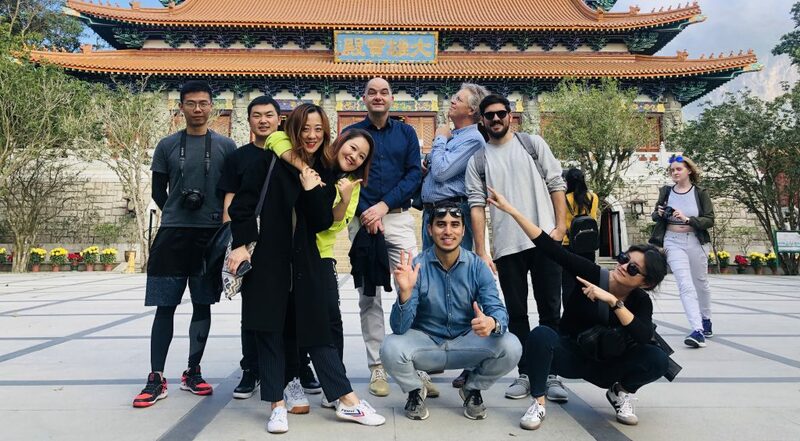 We aim to become the number one cultural experience platform for the new generation of Chinese global travellers while fostering mutual cultural understanding between China and the world. Human civilization and historical heritage is not just recorded in written traditions but can also be experienced by the younger generation as they explore and travel. Immersive cultural experiences unite people,” said Ms Cheung. 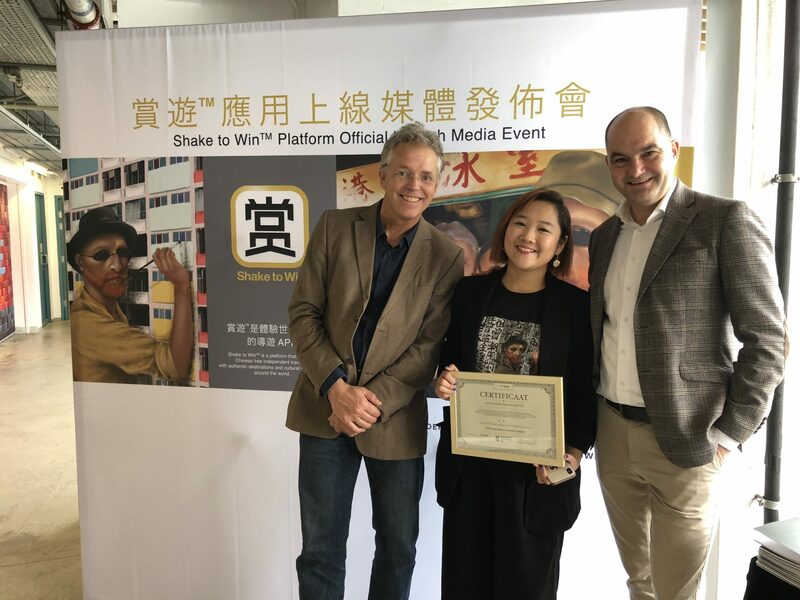 Effective from March 2019, Shake to Win will add a one-off donation button on their payment backend to facilitate merchants’ donation in support of cultural preservation projects from Van Gogh Heritage Foundation. “This is only the beginning. We will launch more interactive functions to encourage youth around the world to acquire, exchange and initiate more projects aligned with our mission in the future.” Ms Cheung added. In addition to art-related initiatives and enhanced app functionalities, Shake to Win is setting up a foundation to further encourage culture and nature preservation. Currently under registration, Shake to Win’s NGO arm aims to fund and support selected projects in line with its mission. Commencing 2019, 5% of its net proceeds will be donated to the foundation. “Van Gogh Heritage Foundation is our pilot partner but we will continue to develop more strategic partnerships like this over the next three years to empower the culture and nature preservation efforts of our community. Everyone who supports our company effectively becomes a hero who champions and celebrates world culture and nature preservation,” said Ms Cheung. “This is the first time we partner with a foreign shareholder and we are delighted to see their shared vision with our organization. I believe young people could be inspired by the story and life of Vincent van Gogh which can strengthen their belief in the enormous power wielded by their own creativity,“ said Frank van den Eijnden, Director of Van Gogh Heritage Foundation. “I believe art and culture can contribute to the understanding, reconciliation and recognition of us belonging to one world and sharing the same dream. The Van Gogh heritage route abounds with hidden gems waiting to be discovered. We look to Shake to Win for ingenious and creative ways to promote our unique culture and nature tourism not only in Van Gogh’s homeland in the province of Brabant but also throughout all other Van Gogh heritage locations, as well as museums in France, Belgium and the Netherlands,” said Pim Sybesma, Manager International Trade, VisitBrabant. *China Outward Bound Research Institute Analytics Data.